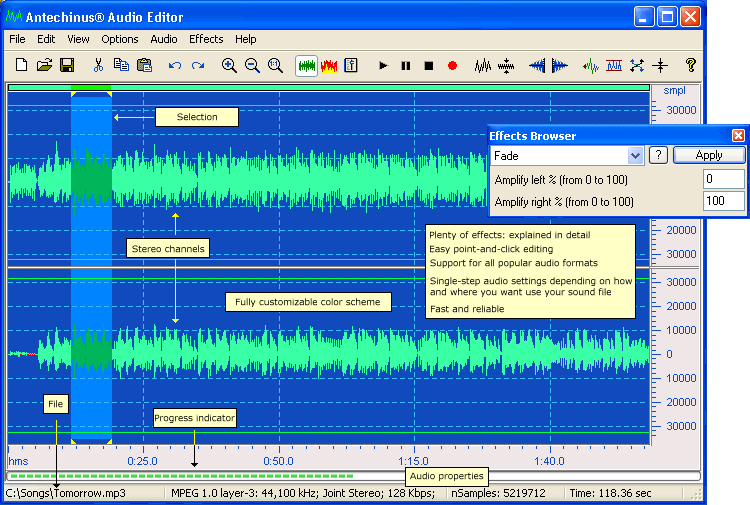 Antechinus Audio Editor 2.4 - Download Win Apps. Easily record, edit, enhance, convert and play your audio files.. Easily record, edit, enhance, convert and play your sound files with AAE. Enjoy fast point-and-click editing. Combine, copy, record, mix, insert, and do audio operations easily, with the support for all popular sound formats, and you get to do amazing things with 29 effects, explained in detail.